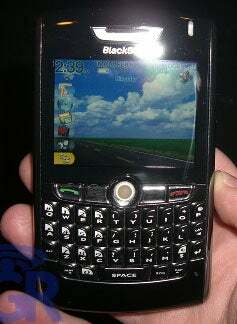 The infamous Boy Genius got his hands on a shiny black Blackberry 8800, and he shows us tons of pictures of the device along with numerous screenshots. He likes the look and feel of the handset, saying its keyboard is just as good as its 8700 predecessor. He's also digging the screen, "Oh man, the screen!" He especially likes the quickness of the unit, saying that its OS loads a lot faster than that of the Blackberry Pearl, and also noticed its speaker "sounds a lot better." And is it us, or does it look slightly thinner than its predecessor, too? Nice phone.